I was back at work today after taking two weeks holiday leave. As such, my brain is full from catching up on everything that has happened whilst I was away. When my brain is full, words flow not mouth out easily (see what I mean). So I'm skipping the chit chat and heading straight to the nails. 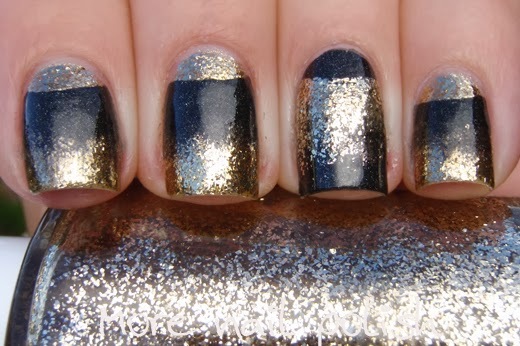 Here is something I wore a few weeks ago, black and gold half moon gradients. I used Ozotic 526 and Amazeballz. 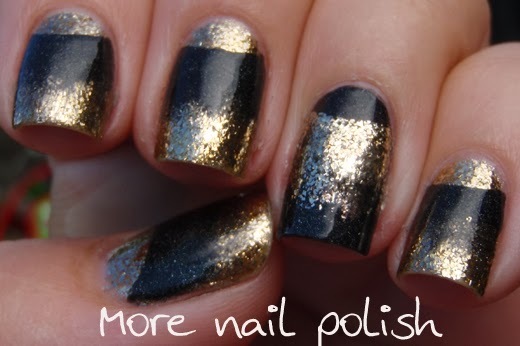 I wasn't that happy with my black gradient on the gold, it just didn't blend smoothly like I wanted. 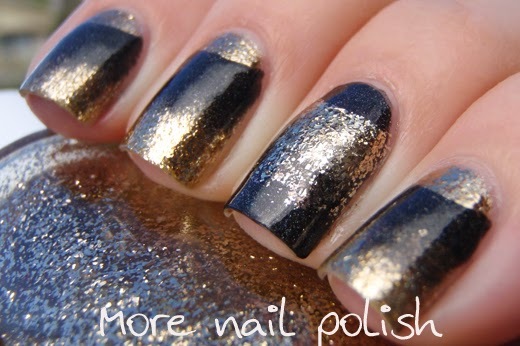 But I did like the gold on the black. This looks really cute! Love the inverted accent.